This is old version Pokemon Shuffle Mobile 1.6.0 apk for Android, you can install it if you want to downgrade or install old app. 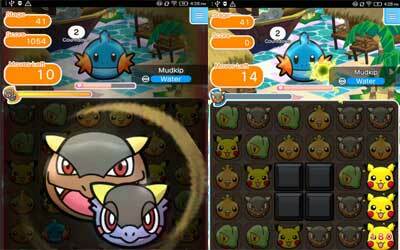 It is top Puzzle apps from The Pokemon Company. A slew of new Pokémon and special skills! Mission Cards that give you rewards for clearing stages with certain conditions. These rewards even include rare items like the elusive Lucarionite! New Survival Mode that lets you attempt to set new records for most stages cleared in a row!